Hotel Room of Double Tree. Copyright 2011 Matthew D. Shaw. 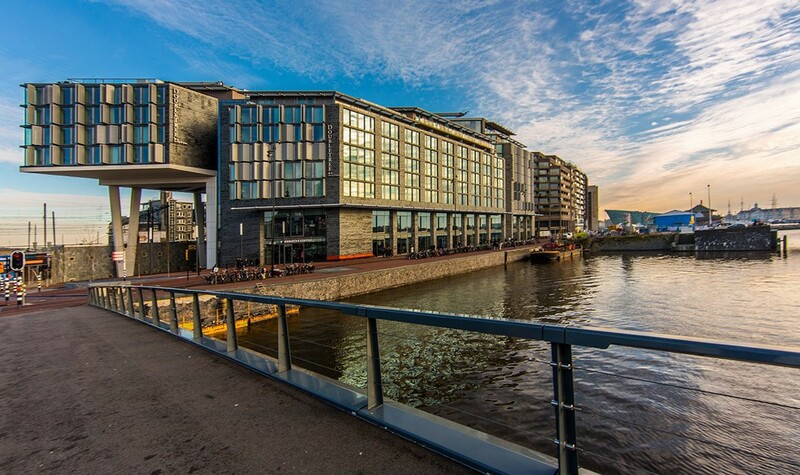 Double Tree by Hilton Hotel Amsterdam Centraal Station occupies an incredibly central location and offers floor to ceiling windows in all of it’s guest rooms so that the views of the city can be truly appreciated. Hotels in the Hilton portfolio, are actually some of my favourite, simply because they strive to offer that extra bit of personalised service, which always makes me feel welcome and appreciated. 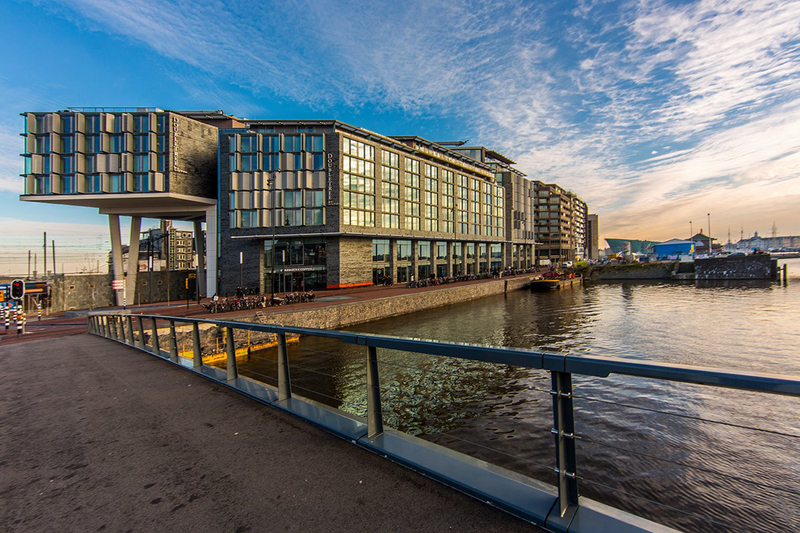 The Double Tree Amsterdam Centraal is further evidence of this excellent attention to detail and service. Hotel accommodation can be quite standardised but the Double Tree by Hilton understands the need to give that little bit extra and they do so successfully, be it through their attention to detail in the furnishings of the rooms and added extras such as iMac’s in every guest room, complimentary chocolate chip cookies on arrival or demonstrating a genuine interest in you as a guest. 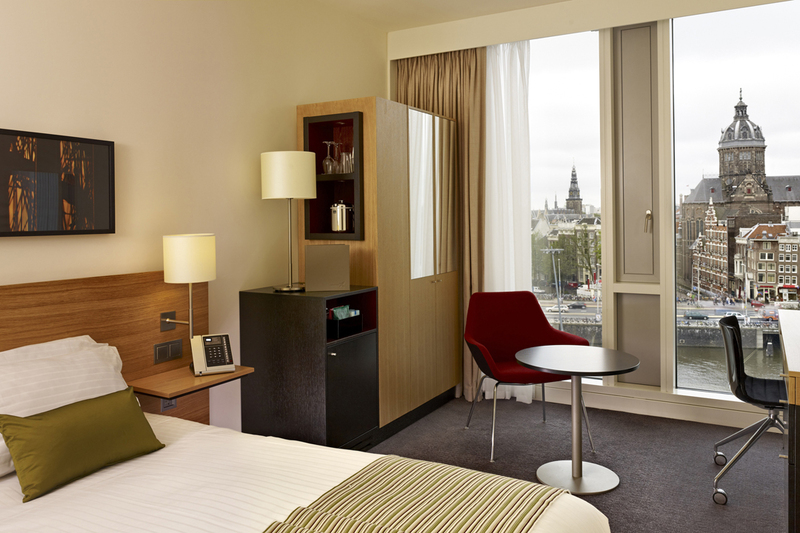 Of course the Double Tree by Hilton offers all of the modern conveniences you would expect from a world class hotel, and yet they manage to deliver it in a personalised, friendly, welcoming package. 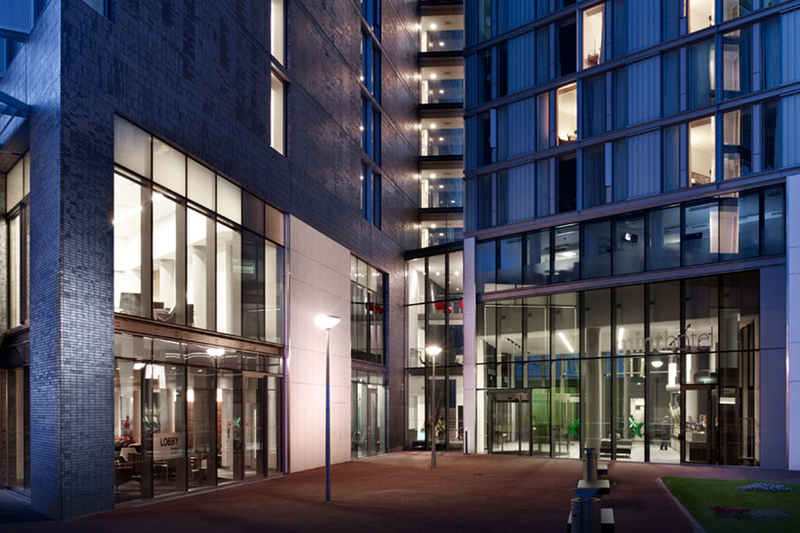 The building itself is an eye-catcher, but also the interior spaces are contemporary and visually exciting. 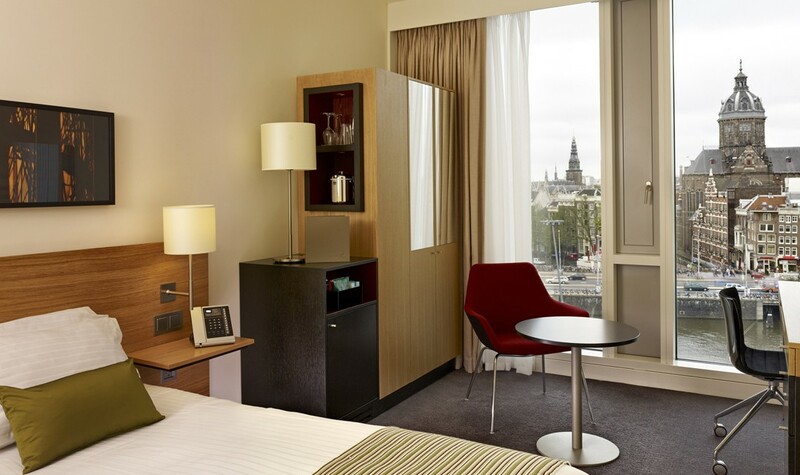 Beautiful interior design in both the public spaces and the guest rooms, ensure a stay at the Double Tree is a pleasure, whether you are traveling for business or leisure. 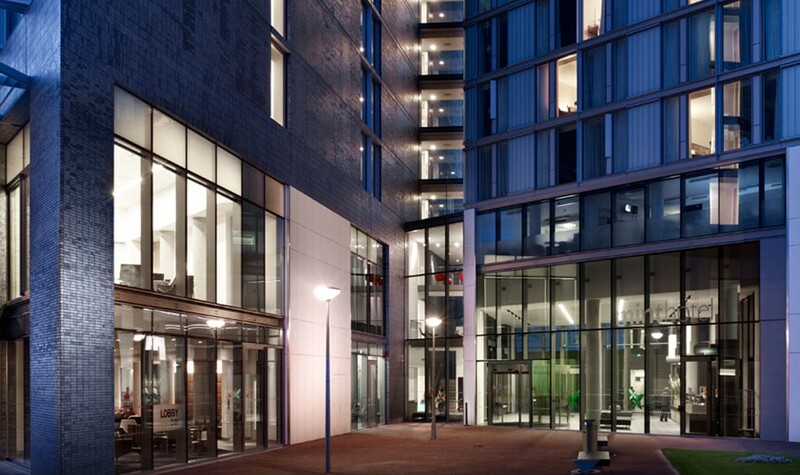 Of course there are fitness facilities, business and meeting facilities as you would expect from a hotel of this calibre. There are three dining options at the Double Tree by Hilton which offer a range of international and local cuisine: from the Eastwood on the ground floor with views over the water, to the Lobby Bar where you can enjoy a drink and a light meal or snack, to the spectacular SkyLounge on the top floor where you can enjoy a cocktail whilst taking in the sensational panoramic views over the city, every taste is catered for. I love the fact that pets are allowed at the Double Tree by Hilton, but they also offer a special pet menu (on request) – further evidence of their human touch. In addition to the various environmental and sustainable practices that the Double Tree operates by, the Hilton Group also has a number of community and social programs which they run and support, which I believe are yet another sign of how this hotel group goes above what is expected to deliver something special. Double Tree works with some of the most respected and independent environmental certification groups to ensure that they are transparent and recognised in their sustainability practices. Furthermore they operate various community, environmental and social programs to support local communities, educate children to care for the environment. Unfortunately we cannot find any information regarding their use of local, organic or free range meat or ingredients in their kitchens, so we can only give them a partial Conscious Travel Rating for the environment. The Double Tree is fully wheelchair accessible and designed with those with limited mobility in mind. They have a comprehensive Accessibility Policy published online.